Ever hidden the front-door key under a plant pot 'just in case'? If the answer is yes, you are one of many Britons who have made an invitation to burglars. According to a new survey by Hillarys, two-thirds of Brits leave a 'back-up key' in various locations outside their property. Why? Almost half of us (47 per cent) are apparently afraid of one day forgetting our keys and being locked out, while nearly a quarter (21 per cent) leave a key out for friends and family. And where do we hide the keys? In all the obvious places, as it turns out – under doormats and plant pots, and behind garden ornaments and bins. It really is no surprise that burglars take advantage of these predictable hiding places: one in fourteen of those who leave their keys out admit to having been burgled, although, oddly, only 27 per cent then stop leaving them out. Our advice? 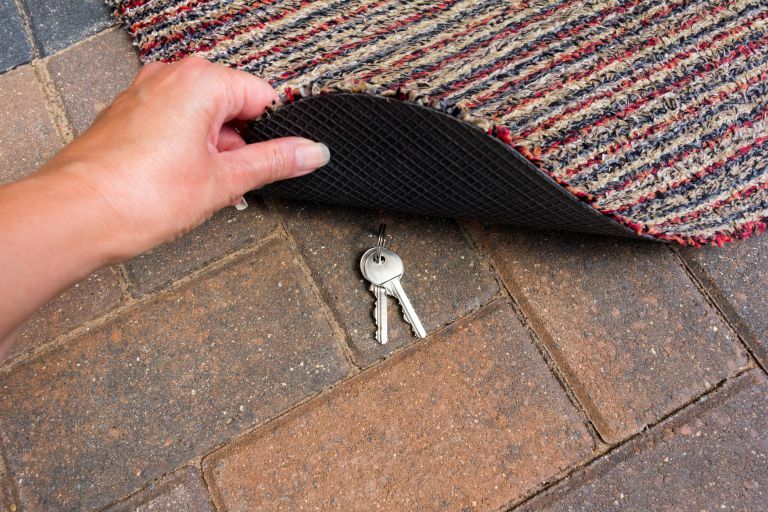 If you have to leave a spare key out, think of a less obvious place than the doormat/plant pot, and always make sure to look around when retrieving your spare key, in case an opportunistic burglar is lying in wait.